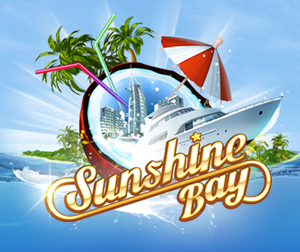 Do you Play Sunshine Bay? Join GameHunters.Club our members share free bonus, tips, guides & valid cheats or tricks if found working. Check out the Sunshine Bay Bonus page to see the full list. If you need to add friends for gifting or exchanging game-items you can check or join the Sunshine Bay Add Me List. GameHunters.Club is a Fan Site and is not endorsed by or affiliated with Sunshine Bay. All Trademarks are the property of respective owners. If you love this game, support it by purchasing premium items in the game or follow the official Sunshine Bay social media channels. Learn more about Sunshine Bay on how to earn resources like cash, materials and in-game tricks that will help you playing. Join the Forum, Discuss anything about Sunshine Bay. You can talk about tips, tricks, cheats, ask for help or simply introduce yourself to the club. These are the most recent topics and posts on Sunshine Bay Forum. Do you know any of this topics? Help players by posting about this topics on Sunshine Bay Game Post section. Did you know that? https://bit.ly/2FDyKCo National flags used to have various shapes, but things changed greatly when the Age of Sail began. Rectangular flags with two or more horizontal or vertical stripes were easy to distinguish in the sea and easy to place atop the mast. In time, this became the typical shape of flags, first in Europe and then all over the world, with only three exceptions: the flag of Nepal and the square flags of the Vatican and Switzerland. Can a sailboat move faster than the wind? https://bit.ly/2YAEwx6 You bet! When a boat is sailing by the wind, its maximum speed is equal to the speed of the wind. Once it reaches this speed, the wind stops putting pressure on the sails. But what if the wind is blowing at an angle? The air current flows around the sails, creating some lift capacity. This also maintains constant pressure on the sails that doesn’t decrease as the boat speeds up. Modern catamarans utilize this neat trick very actively and their sails often look more like airplane wings. Have you ever seen a green beach? Probably only in your dreams! https://bit.ly/2FIMxsy However, there is a place in Hawaii where the sand is green, due to a high concentration of a mineral called peridot on the shore. It has a distinctive olive hue and glistens so beautifully in the sun that the beach is referred to as the Hawaiian Diamond! Let‘s Play! https://bit.ly/2tJiDNU What could be more amazing than prowling the high seas and deep oceans? If, for some reason, you did choose to stay ashore today, we’ll try to keep you busy all the same. Let’s play a word association game! The rules are simple: read the last comment on this post and write the first word you associate with it, e.g., Cloud — Rain — Autumn — Leaf — Fall. Ready? Let’s start the game with “Calm seas." Just Imagine It: a Shell Beach! https://bit.ly/2NvLG0H Not so many people were lucky to see this shell beach; no wonder, for it’s situated in a faraway corner of the world, namely, in the Shark Bay, Australia. In the past, these waters were known as a ship breaking yard, which makes the bay popular with tourists. Besides, the water in the bay has high salinity, that’s why cockles live in abundance here. As a result, the beach is all covered with small white shells for a 37 miles stretch 23-33 feet deep. There is certainly no shortage of tourists longing to see this wonder of nature! There are many beautiful shores and beaches around the world. https://bit.ly/2HbN8nw Some are easy to reach tourist spots, while others are very secluded and off the grid. If you had a chance to instantly teleport to any beach in the world, which one would it be? Let’s dream a little! What is a safe port? https://bit.ly/2DL8HcI What should a captain do if he receives information about a coming storm? The answer is easy—go to a safe port. These ports are required for vessels that are not designed to handle big waves. Often they’re created in natural bays and lagoons, but sometimes they’re completely artificial. Distances between safe ports are calculated so ships could reach at least one of them before a storm, regardless of their position at sea. Captains, today we want to talk about hurricanes! https://bit.ly/2UiNEDP Not everyone knows, but they can form only at sea, never above solid ground. A hurricane collects a huge amount of moisture and takes it to a coast line along with a big wave called a storm surge. These surges appear due to low pressure beneath hurricanes: some water literally gets raised above sea level, and forms a tsunami-like wave. How strong can a current be? https://bit.ly/2sJ9GDQ One of the most powerful and fascinating tidal currents in the world is Saltstraumen. You can watch this astonishing natural phenomenon in a narrow channel near the town of Bodø. The speed of the current is about 40 kilometers per hour, which forms great swirls 5 meters deep and up to 12 meters in diameter. You can enjoy this nature wonder several times a day—it happens every 6 hours! What’s In the Bottle? https://bit.ly/2V33Rhn In the sixteenth-seventeenth centuries, England had a law whereby anyone who dared open a sealed bottle fished from the sea or found on the coast could be sentenced to death. To read these messages, Queen Elizabeth I created an official position called “‘Uncorker of Ocean Bottles’”. The bottles could contain messages from British spies: such secrets could not be entrusted to just anyone! Captains, did you know that the tourists visiting your tropical island can generate some hefty profits? https://bit.ly/2AcXorv Take a look at the people swimming in your waters. Tap a swimmer, and you’ll get a coin! One coin is not that much, but you know what they say: watch the pennies, and the pounds will watch themselves. Your Favorite Yacht https://bit.ly/2BxuKBb Captains, which of the Sunshine Bay yachts is your favorite? Which one do you choose to ply the oceans blue? Which model ensnared you with its stylish looks and super stats: the Mirage Yacht, the Cruise Yacht or maybe something else? Tell us your stories in the comments below and say what destinations you choose most often for sea voyages! Enjoy your stay on the tropical island: luxurious yachts, sun, waves, secrets and great company!